Strasbourg, a privileged location for Europe's capital. Situated at an equal distance from Paris, Amsterdam, Milan and Prague, Strasbourg is a focal point, well served by road and rail links and by an international airport. Seat of the European Parliament, Council of Europe and numerous other European institutions, Strasbourg is also a major science and university centre. Classed as a "world heritage site" by UNESCO, Strasbourg is a city of human dimensions, renowned for its quality of life in all seasons and its rich cultural life. The Alsace region is well known for its vineyards, châteaux, forests and cuisine. 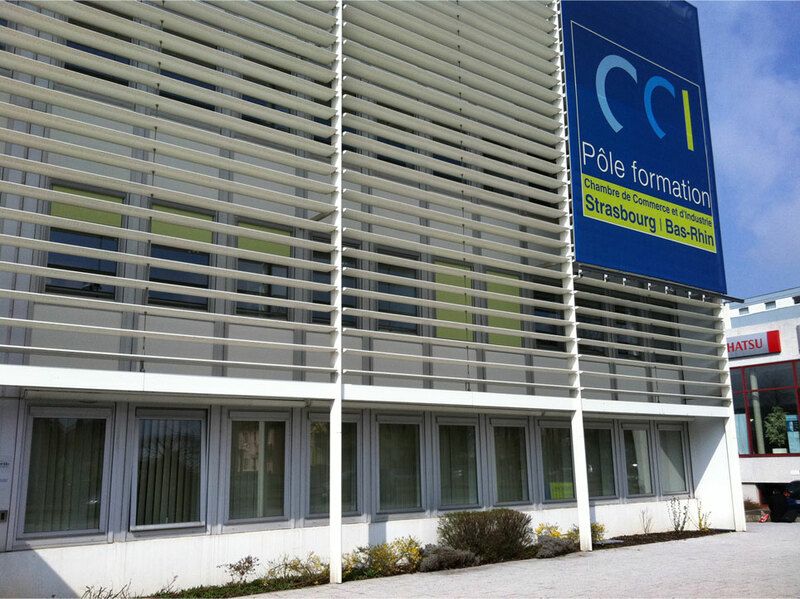 The Strasbourg CIEL language school is part of the Strasbourg and Bas-Rhin Chamber of Commerce's new training centre - the "POLE DE FORMATION CCI". 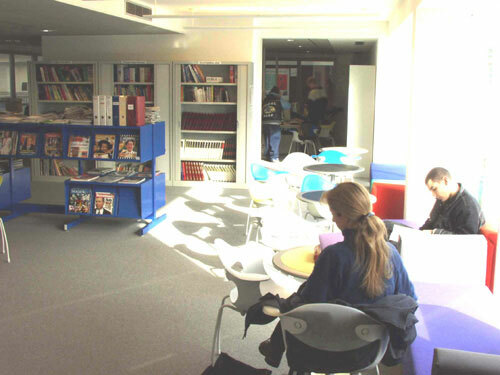 Just 9 minutes by tram from the city centre, the new premises offer outstanding facilities - light and spacious classrooms, a multimedia library with free and open internet access and a language lab. 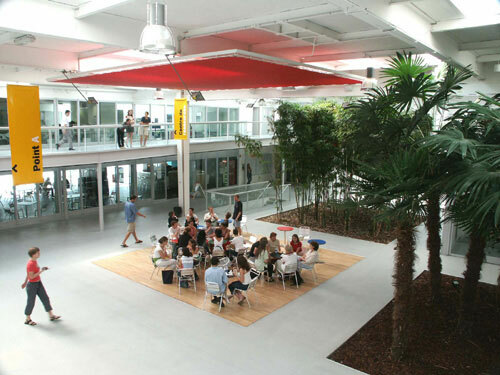 The cafeteria offers a place to relax and to meet with other people attending the CCI Centre, who come from a wide international background, who are French students or are on professional training and development courses. The success of your stay depends not only on the quality of the course, but also on your accommodation, leisure activities and the contacts you are able to make. 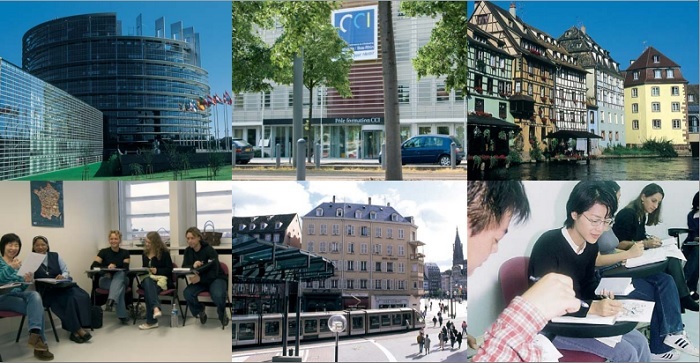 We aim to take all of this into account when welcoming you to CIEL in STRASBOURG! A flexible timetable, enabling courses to start every two weeks throughout the year. 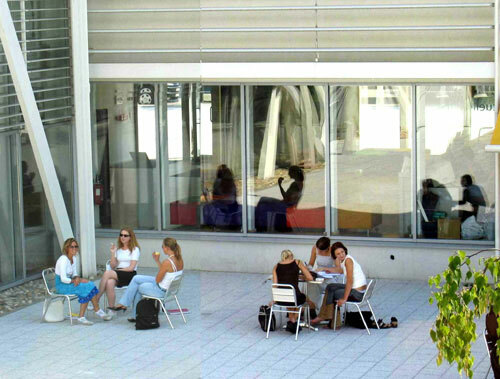 A teaching staff made up of qualified and dynamic professionals. The professionalism and customer-awareness required of a Chamber of Commerce life-long learning and training service plus... the SOUFFLE Charter and "Label Qualité FLE" (official quality for French as a foreign language) guarantee.